There is a good argument to be made that nothing is more important to today’s consumers than convenience. Sure, everyone wants low prices, and high quality products/services. And yet the point stands: if convenience isn’t already the most important thing to consumers, it’s a top consideration – and growing more important all the time. The value consumers place on convenience is most easily seen in the dominance and sector disruption of today’s tech giants like Amazon, Uber, and Netflix. Who can say no to Amazon’s 2-day shipping, or Uber’s easy, on-demand taxi service? You might think the new demand for convenience is because people are getting more “lazy” or “impatient,” but that misses the point. The truth is, people have always placed a high value on convenience. In kind, businesses that offer greater convenience have often reshaped their industries. Take McDonald’s, who established themselves as a global food chain juggernaut with their revolutionary Speedee Service System in the 1950s. They applied production line practices to food, putting a hot burger on your plate faster than ever. The rest, as they say, is history. The takeaway is that convenience is not some passing trend, but a top priority for consumers. It’s no surprise people want to do everything on their phone right now, in as few clicks as possible. Though people of all ages are demanding more convenient service, no one is more adamant about it than millennials. Having grown up with technology in a rapidly changing world, millennials aren’t afraid to try out new ways of consuming products and media. They were definitely the first ones to jump aboard the streaming bandwagon. They’re more likely to order their groceries online through Blue Apron, or reach for “meal-replacement” shakes like Soylent so they can skip cooking altogether. It means offering convenience is of the utmost importance, and it’s only going to get more important. As millennials (and generation Z) grow older and make up more of the consumer base, convenience will be a factor that makes or breaks businesses. The best thing you can do now is keep in mind that convenience is not expected but demanded. Take another look at your services with a soft set of eyes and see if there’s any changes that you could make to make things easier and faster for your customers. How can you use technology to make your customers’ lives easier? Similarly, are your products easy to understand and easy to use? Every company will have to approach the question of convenience from a different angle. However, the core of the issue is always the same. You have to make it as easy as possible for customers to find, identify, purchase, and use your products or services. 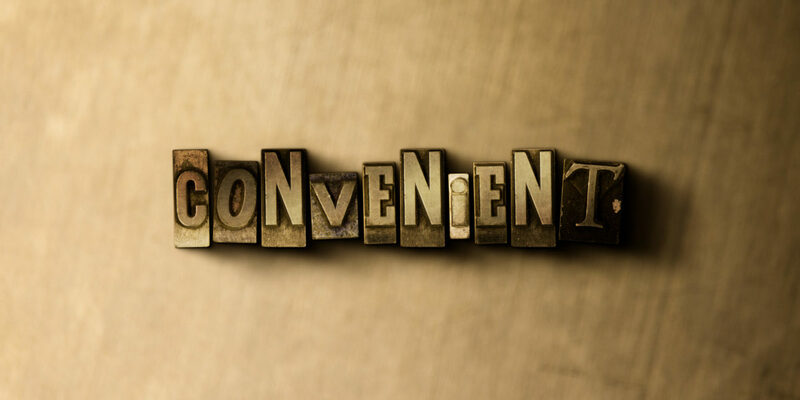 Offering convenience might not always be easy, but it will pay off in the long run. Give us a call today to share your thoughts on the importance of convenience. Drive Creative Agency is a boutique digital marketing agency located in Rochester, MI. We do many things well including Website Design & Development, Social Media Marketing & Management, SEO, PPC and more... but wait, there's more, we can handle all of your print collateral needs as well.